Creating meaningful moments of joy is the very heart of our business, and the Joy in Childhood Foundation, the charitable foundation supported by Dunkin’ Donuts and Baskin-Robbins, was founded to direct this spirit of giving back by providing children the support and essential services to find joy in their daily lives. This month, we are asking our guests to join us in this mission to bring joy to sick and hungry children by participating in our annual “Community Cups” program. 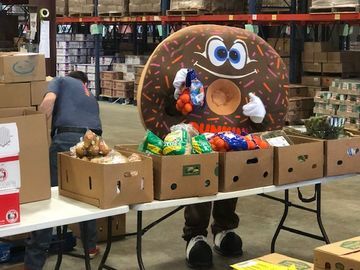 Now through November 19, you can make a donation to the Foundation at participating Dunkin’ Donuts and Dunkin’ Donuts / Baskin-Robbins multi-brand restaurants throughout the country. You will be given a paper icon showing that you gave joy, to sign and display at the restaurant or take home. 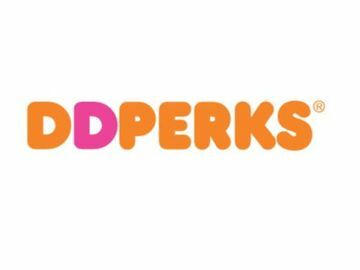 As an additional thank you for you support, the paper icon also includes a special coupon that can be redeemed for $1 off the purchase of a dozen donuts, which expires 12/31/17. This is the fifth annual “Community Cups” program to support the Joy in Childhood Foundation, and through our guests' generosity, the program has raised more than $5 million. Through gifting hospitalized children with special superhero brave gowns and donating time and supplies to local food banks, all funds raised are directed towards the simple, but critical need to bring joy to sick and hungry children. Since launching in 2006, the Joy in Childhood Foundation has granted more than $14 million to hundreds of national and local charities across the country. 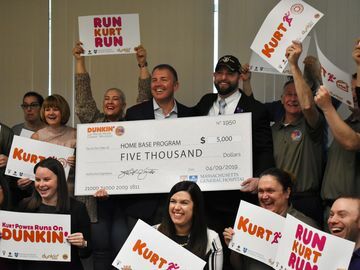 Learn more at www.dunkinbrands.com/foundation. This month, stop in your local Dunkin’ Donuts to donate to the Foundation, and be sure to share how you give joy on Facebook, Twitter and Instagram!